Hotstar does not support chromecast amazon cast or any tv casting service. It also does not have a Samsung smart tv or any other smart tv app. Hence you are forced to watch it on phone or tablet. Very disappointing! They didn’t give me my promo discount. I use to like this app a lot. But recently they are getting worse. They don’t upload their shows on time. Daily shows are not even available after 24 hours of the telecast. I think they should focus on consistency rather then advertisements. I think we should go with some other alternative.. Fantastic broadcast of the Asian Cricket Cup Tournament - Live! Enjoyed it thoroughly! Clear broadcast - no interruption - fully enjoyable. For sports replays , I would like an option to hide the scores; there is no such option. App does not reflect the subscription made online No support for casting to smart TVs. The app does not allow you restore purchases made through the iTunes Store, so I am paying for an unusable app. Even worse, there is no way to request a refund. 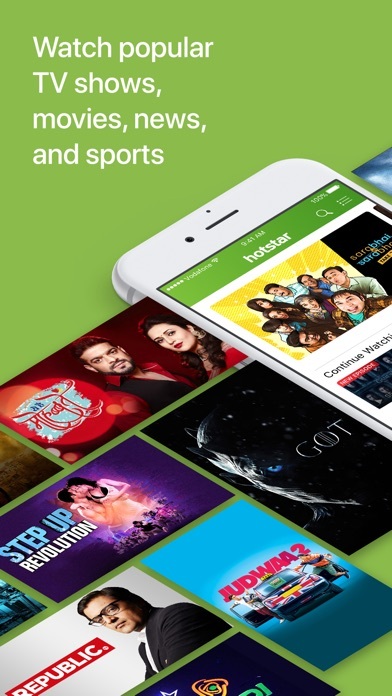 The typical Apple process takes a user back through Hotstar’s web site, which does not load properly. FAQ and FEEDBACK pages do not load at all. Two emails requesting assistance went unanswered. If this company takes more cricket away from Willow, there will be terrible times for cricket fans in America. *Update 9/18/18 — technical support emails tell the user to call a toll-free number that no one answers. A waste of money. i am crazy for cricket so i bought 1 year package from hotstar in usa. whenever i tune in to watch live matches on my chromecast or roku tv it is always bad quality(360p)(i have 100 mbps internet so no way internet is the problem here, all other video streaming apps works perfectly) i am literally shocked that star cannot fix such a small problem. even small company like willow tv has no streaming issues. shame on you hotatar. cricket is a better viewing experience with willow tv. It’s perfect app for Indian tv show to watch your favorite and old shows. But Not many options for movies. This app is very restrictive. Not sure why paid customers are restricted content while it is available on youtube and other places. I was trying to watch asia cup it and the App restricts you to connect your phone to your tv through hdmi. It does not even let you charge your phone and says that device is not supported while i have been using the same charger all my life. Only option is to use chrome cast as if everyone in the world has a chrome cast device. This could be a better app for India. But other region members are not allowed to watch their own country videos and streaming. So unsubscribe from Hotstar. 3 star for their great streaming, multilingual. This is a scam. I cancelled subscription and Hotstar kept on charging my credit card. Unable to find number to call, I end up cancelling my credit card account. It’s scam. Don’t even try free subscription. Doesn’t allow to use a different login other than the Apple ID in Apple TV. How dare you name the title of Bigg Boss Telugu 2, episode 61 as ‘Kaushal The Bad Boy’ ? Who are you to decide that kaushal is bad boy.please dont decide by yourself and target one person. We love hot star and dont loose the love and respect from people. Cant understand why you had to slate Gerrard to get more viewers. Forget about the Liverpool supporters sentiments. From a purely marketing standpoint, you are trying to get more Liverpool fans to subscribe by firstly addressing them and then slating their legend. Creative freedom is one thing, this is just stupid. As low as someone can get. Just to get some laughs you mocked gerrard, go to hell hotstar. Taking on the Indian Liverpool fans with a bitter Gerrard tweet? Not happening mate. Unsubscribing and advising everyone against you! Learn some lesson. Hire quality ppl! Mocking a legend. No spine. Cannot mock a legend. May It be liverpool or Manchester United. Be it cricket or football. Have guts? Do the same with Sachin! Rip off company . I was try to cancel my subscription after 3 months using and final cancellation button on website was keep not working where else all the other buttons where working just fine. It doesn’t respond when reopened and doesn’t remember where we left with. It was working fine until 3 weeks ago. For the past 3 weeks every time I open the app, it either crashes or screen goes blank for 2-3 mins or video just keeps buffering without playing. It is extremely annoying. We pay so much and in return is this what we get? Please fix the problem. Overall a very good app, with a lot of content. Two major wishlist items: 1. Improve the search - provide filters for language, genre and year. ex: English, Drama, 2018 2. Live news. Would be great to watch news shows as they are being telecast. Overall, very impressed, but search is a major opportunity. India Free Hotstar much offers than US Premium Hotstar. Bring Bigg Boss rights and we can sign up again. So i downloaded the app and i was trying to watch an episode from a certain show and it just kept saying playback error any help with that? Mostly old movies with no frequent updates . Except cricket I don’t find a reason to pay for this app. IPL matches have really streaming issues.....sometimes painful to watch. Movie collections are also very limited. Please add Colors Bangla and Tara TV to Bengali channel lineup. Whenever I try to cast from hotstar iOS app to chromecast, the chromecast device crashes and restarts automatically . Initially thought the device is faulty , but observed the same issue in two others home as well. I got all of drama serial whoever I missed so I m really enjoying too much..
Big boss Tamil shows are not there; We subscribed just for that . Disappointed! Shittiest customer service Ull ever see. Whatever u ask for, they will be like, “sorry we cannot do anything about it”. They literally rob ur money. Don’t go for it. When I watch Ipl matches on Hotstar it is almost 1 over delay. Forcing me to watch on laptop. App needs lot of improvement in terms usability feature. Not easy to find the program to watch. No digital rights for its own programs, why someone need to pay this stupid app. Never get live content, and catchup also with missing content. 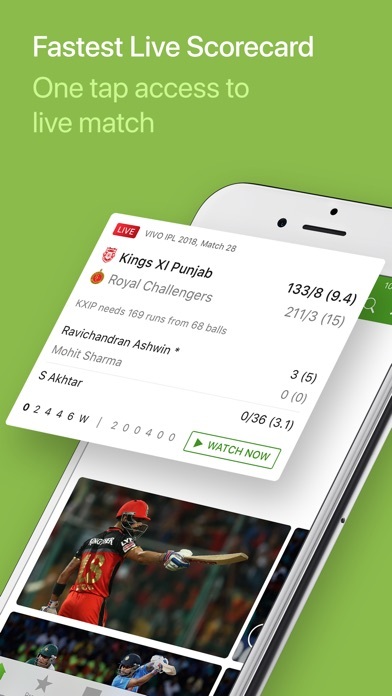 There is no option for live streaming in the United States region except for IPL. Tried calling customer service and wasted like 1 and half hour waiting my turn to come. The worst streaming app ever!! Please provide a zero star to rate this app! Hotstar does not have latest or high ranking movies like Bajirao Mastani, Jodha Akbar or other movies who have done great. It has just average kind of movies. No hollywood shows or movies. JUST GOOD TO WATCH LIVE CRICKET, NOTHING ELSE. Mismatch of Audio and Video for extended periods of time. Also the playback shifts to low resolution even after it is set to HD. This app is a joke! I subscribed for the one week free trial, after which it keeps telling me to Subscribe again. I try to subscribe again and it says that I have already subscribed! I checked my account and I can see the free trial till May 14th, but I can’t watch any videos on the app or website. It’s just an endless cycle of ‘Subscribe - You’re already subscribed’ screens. Why it’s not allowing to change the Facebook subscription? Issues: 1. Login at least twice a day 2. Doesn’t have any idea of what I am viewing and how much I have viewed 3. No proper categories or genres 4. Multiple devices are a mystery for hotstar ... and many more! Get a UX person like me to drive the cool content! You have lot of low hanging fruits!! When I watch Ipl matches on Hotstar it is almost 1 over delay. Forcing me to watch on laptop. App needs lot of improvement in terms usability feature. Not easy to find the program to watch. You have a subscription and automatically take the mony. Every month, email support team to have them renew your log in even after you pay the monthly subscription. That is not very user friendly. I have paid the fees so it should work seamlessly. Add support for 4K HDR. After all, you want to step Netflix and Amazon, please do this, please!!!!!! Poor video quality across all platforms. And it’s really not add free IPL. First the main pain points- Repeatedly being asked to login multiple times a week, super annoying. The fast forward and rewind features have bugs due to which rapid use of the buttons cause the audio to get out of sync of the video. Video resume is a must for a paid service like this and it is very annoying especially when combined with the issue above. Now the things that are good: Good picture quality and no buffering or getting stuck etc. Friendly and familiar UI navigation and search. Decent collection but for the $10 subscription one would expect this to grow. stupid app ..often buffers and shows error in my iphone ..
People, Beware of this company. They store your credit card number even after you cancel your service. This such a huge risk. I contacted my credit card provider and have asked them to change my account number. Never using this app again. Bakwas advertisement, bakwas entertainment, bakwas app. You know what is the difference between a Dog and a human watching Hotstar after IPL final, only Dog watches in excitement. And you get dizziness, nausea, fatigue, confusion, irritation, anger and what not after watching their bakwas ads and they run ads by saying that their ads are bakwas. I think that sums up the Hotstar story. Just waiting for IPL final to finish and I will scrap this channel. Inspite of having a premium account, I cannot watch anything on this app. It repeatedly asks me subscribe. And There are so bugs that’s this deserves 0 stars. I use this app for watching IPL. It goes backward 20min by itself in live marches. I took the one month trial to see what Hotstar offers and I saw its offer live cricket and some TV shows also movies that didn’t make me impressed. I thought I can watch some other games like live soccer games but Hotstar doesn’t offer any. Why the heck the app is forcing me to enter credentials daily / everytime I open the app? Why the heck the app is forcing me to enter credentials daily / everytime I open the app? Why can’t it persist the credentials? It’s a paid streaming service app. I don’t know why are they not giving importance to the service. It’s so much of advertisements during the IPL game. The moment ball on air (may be 6 or 4) immediately advertisements starts. Crap. Seriously? A paid service that crashes every 5 minutes? Reboots chrome-cast? You guys have to fix some serious bugs. Overall nice app...can you enable Touch ID for login and why do we have to enter credentials on the phone every time I launch the app? Can you guys support TV app in Apple TV including Siri integrated search support and TV app watch next support? Otherwise great app. One of the most unfriendly interface I have seen. You cannot filter content based on language within content type (TV shows or Movies). You can filter it in general, but then the list contains all the soap operas which I am personally not interested in. One MAJOR drawback is that I have to login every single time I open the app. That is just frustrating and plain dumb. Unfortunately I gotta use the service to watch IPL. Once that’s done, I will deactivate my service and lose the app. It is frustrating to update the app every other time. Cannot login even after payment. ITunes says subscription valid till end of month but app doesn’t allow login. Hello Team, You got IPL streaming rights or Ad Streaming Rights . Is the subscription we took is for viewing the Ads??. First day of IPL was ruined by your annoying Ads . I hope this issue will be addressed before users gets more frustrated and show the angry on Hotstar. Advertisements in between balls and during. Very frustrating to watch. Poor service and terrible experience with the 1st IPL match of 2018. This is a paid service that I signed up for the Indian Premier League 2018. This app is inserting 5 second advertising every 5 seconds of regular live match coverage. I am cancelling my subscription 10 minutes after buying it. What's going on.. I paid for IPL but showing star TV? Give my money back..
Why star utsav keeps on coming instead of IPL match. Able to see match for 10 seconds in 1 minute. Observed on 7th April. In today’s age where apps got to be world class, here is an app which is still in nascent stage. Channel changes on its own. How do you watch a nail biting cricket game?? Pathetic. This app does not allow you to cast live match on a TV such a waste of my time and money. No chromecast support in US app. Had this app for last 4 months.. no issues but since today IPL started I was trying to watch the match , but the app wants me to pay money again to watch ipl ,which is outrageous since my subscription is still active till April 29 . Cancelling the subscription and moving to some other provider. Emailed the customer service no response , called the customer service on hold for ,more than an hour simply pathetic. The main reason why I subscribed for the subscription is to have access to premier league matches on the go.I’ve tried numerous times to cast a live stream on my smart tv but it always keeps on loading and doesn’t come up no matter what I do. Doesn't support streaming on tv. First on all you guys don't have an app for Samsung smart tv. Then I find a way to stream my iPhone to Samsung v using an app. But that app broadcasts screen using screen recording function. But your stupid hotstar app doesn't allow to broadcast on my tv. You don't make an app for tv. You won't let anyone stream on tv. What is wrong with u? Also no discounts for students? Why? Worst coding ever. Zero logic in functionalities. Have a bad day ahead. I bought the subscription mainly for IPL. - now it says “unable to authorize secure playback. Please check your subscription and retry”. I have done everything required to view the content, it’s a simple model. now I have to call customer service and resolve all these petty issues. - some videos don’t play as they are not available in US. why would you include them in the US version of the app!! - Chromecast streaming is unstable Get your act together man! I should have gone with Willow or Sling, they work just fine. Hi..The app is great.. But I wanted to watch IPL in my big screen Roku TV. Although Roku has Hotstar app and everything works like a charm there. but I CANT WATCH IPL MATCHES LIVE IN THERE. Any solution? Every day the app asks me to login.. why can’t the user stay logged in? I have subscribed Hotstar and been using it for few months now. In the recent past, when I try to log in to the app it’s asking me to subscribe. When I go to MyAccount it’s asking me to start free trial. When I click either of the option it shows Active subscription detected. I tried deleting the app, installed it again. Logged out and logged back in multiple times etc but nothing is working. I have an active subscription through App Store. Not sure how to reach their support team too. This is a waste of an app that came to market too soon. Canceled it within the 1st month. Buffers a lot, poor quality and every now and then goes back to the start of the program, and does not connect well with my apple tv.. Bought for IPL but canceled and got Willow instead. The stream keeps jumping to 30 seconds behind every time I watch a match!! Lots of time its stuck in loading and jumps to beginning of match at times. Worst streaming app ever! Took the subscription just to see IPL and not a single match was played without the playback error and app crashing. Tried on multiple devices and multiple installs, still the error continues. After reading very bad reviews about Hotstar I got willow tv to watch ipl. Now since willow wants us to go and watch from Hotstar app...it’s doesn’t have apps or support AirPlay . We signed up on this app just to watch live cricket. It runs well with nice HD quality videos but that doesn’t happen all the time. Mostly it will either have connection issues or just will keep jumping around the screens, so, you cannot even watch the whole over. Sometimes it will have chromecast connection errors. I believe their only priority is to show ads and not live cricket. Willow was much better, I hope these big companies realize that spectators want to enjoy the shows without ads chopping them down. Hotstar, if you cannot take care of live telecast at this magnitude, please give the rights back to Willow so we can enjoy the sport! Live matches can jump randomly to any point +-3 minutes. Lost entire thread of CSK VS. MI. Did I mention it also suddenly goes live? It’s OK if there is 5 minutes delay, I can deal with that. But just jumping around it completely messes up the game. You are in suspense and suddenly game over! Not able to sign up/sign in my iPad using Facebook in which I have my membership. The app works ok but I REALLY do not appreciate being badgered with prompts to review the app, especially when I have taken the trouble to disable the In-App Ratings & Reviews option under Settings. One does not expect such cheap tricks and spamming attempts from quality apps or large, reputed developers. A request to the developer to stop this immediately. At the beginning I liked the app. I upgraded to premium last month cause of it. But this month, after my subscription renewal the app started giving me error message every time I tried to watch a video. Contact their support team Tuesday. They told me to delete the app then redownload it, so I did. When I signed back in I was asked to upgrade again even though I already paid for this month subscription. I gave them my contact details and they keep telling me they are trying o contact me when I never received any call from them. It’s been over 3 days. They are ripping people off by taking their money and then stopping their subscription. Don’t waste your money. I subscribed to watch IPL but I don’t see chrome cast feature. Any luck please?? It doesn’t allow to watch any show in China. For foreigners like us it’s hard find any Indian tv show anywhere else. So please make it work in abroad. First sign-up online and use the discount code there to avail the free trial of a month rather than getting one week only free thru app store and also the 30 percent discount for first billing month. Customer care at Hotstar also can't help. There is no mention of this issue and won't help you if you install the app and register it thru that. No option to add the promo code whole signing up from the app. Big hassle for someone who uses the one main email address and one credit card for such transactions. It took forever for hotstar to release in the US. I get it, rights and all, its difficult. But the platform is not user-friendly. I cannot resume a movie if I close the app. Have a recently watched or at least the last watched section so that its easier to go back to what I was watching. Arrange the episodes by date and not by name, episode 11 is after episode 1 which does NOT make any sense. Its a good platform with a lot of good content but it needs to be more user-friendly. The app is good to watch all shows and movies. But the app is unstable with chrome cast functionalities. I have to restart the app many times to regain cast. The unacceptable part is that app acquires full wake lock while it is casting. If the app goes to background it looses track of current video. I have to search the show all over again and re-cast it again. Please fix it. If it is always free we will be very happy.And in USA we want to watch all indian show by hotstar. Awesome app. Liked it too much. I took hotstar subscription in Oct 17. It was a horrific experience where they deducted the fee for three months but I only got to watch it for say 15-20 days. There was some issue between Apple and hotstar and in the end I had to pay for it. Got calls from techs ( from a different person ) every time who could not solve the issue. In the end got fed up. I don’t need this service anymore to watch some lousy shows. Besides IPL no other International Cricket coverage on HotStar. Still some streaming issues No more international live cricket on Hotstar as Sony bought all rights. Bloggers on my blog complained so get out day before your renewal day and fire HOTSTAR. SLING has too many Ads. Rest join me on my BLOG. Dig into Sony for coverage and rates. Thanks Hotstar for letting us down. Why am I UNABLE WATCH IN MY SMART IPHONE???? First off, no complaints about the content. There’s a lot of good content, a lot of original too. But if you are collecting $100 a year, I’m expecting Netflix quality or Amazon quality. I know you can never be at the quality level for the content but can’t you fix your app? Speaking of the app, I use this on my Apple TV, and the experience isn’t good at all. 1. If you pause a show and the Apple TV goes to sleep or screensaver mode, when I go back to the app, the show is gone but the audio continues. And continues. And continues. The only way out is to restart your Apple TV. 2. Good luck finding the show you want to watch without having to use the search function. You can’t sort, there is no reason or logic to the order of the shows shown and you will see a lot of shows even 10+ years old show above the latest or popular ones. 3. ‘Continue watching’ is a joke, most shows I watch never show up or even movies just go missing!!! Very good app for people who miss the regular shows. If you are subscribing for cricket, think very carefully as it pretends to show all games but in fact has only a bait. I need news Chanels. Not worth it! This app works very well with tons of free content within India. Outside India things get a little sketchy sometimes. The app created multiple copies of the downloaded content, leading to exhaustion of my device storage! Requires login every day. Doesn’t store last seen shows most of the time. I just returned from India two weeks ago. Hot star TV comes very good in the USA also! Any video played, the sound echoes. Appreciate if you can rectify it. The app is geat but UI is a nightmare. Sports aren’t organized effectively. Watching old matches are a pain in the neck. Just for a comparison, in Willow all the matches are categorized by Date and Series seperately. Thats not the case in hotstar. When you have multiple languages for commentary, they should be categorized accordingly. Please stop throwing all in one folder and leave me with the task of searching a hidden gem. However the app is really good. I hope they improve the UI for sports. The new update released does not work for Apple devices with ios 9 or less which is unfair. Some people have older Apple devices with Hotstar(with no capability to upgrade to new ios) and the app not working is forcing the hand in buying a new Apple device since you have already paid for subscription. This should be corrected. Guys, do you have a QA team at all? Have you used your app yourself ever? Crap it is. The app is has so many bugs! Also if you want this app to be successful please give me subtitles it’s nice for the people who can’t understand hindi or other Indian languages. I will think it’s worth it to pay the $10 every month if there was English subtitles and the app actually worked decently I don’t know if this problem only occurs in America but please someone please fix it!!!!! It's only work in India. Totally west. App. Useless. Don’t believe the promotional emails which you are getting from hotstar. It has also nothing new since my subscription few months back. It is having 80% of the same content it used to have when I had it few months back. And also it is not streaming important sports events like India-Australia test series. Atleast stream every series related to India. Even after being a valued customer Hotstar is having Zero customer service and satisfaction. Disappointed. If you ever had problem with the hotstar working, do not expect help from Customer service. They have hired most unhelpful agents who do not understand how customer service works and means. I lost of password and requested to reset giving them details about my account including purchase history, credit care information, my personal details but they said they can’t help if I cannot retrieve my personal email to which the password was going to. Unfortunately, I used an old email which I don’t use it anymore and don’t remember password, they said they will not provide me the password or reset link despite of all the credible information. It was disappointing. I have $99 subscription with them. Ultimately I was able to retrieve my old email password and access the us hotstar account else I would never be able to use $99 account. we are faceing problems to watch serials in bangladesh. nothing showing just loading.. my net service is good but this app is problem..plz fix it as soon as possible. thank you. Money grab. I have an account, just purchased. I installed app on roku and found in Hotstar app there is no way an existing customer login. It has only option to buy. Seems hotstar has hired very dump idiots duffers as developers. Idiots at least add login option for existing customer It’s so frustrating. Latest update removed casting option to TV. Please check. Thank you. My latest update keeps on crashing on my older iPad device. How can I revert back to older version? I purchased this app in USA and content is great but the app features are horrible. It never saves continue watching for me: the choices are randomly saved like things I was watching a week ago. Even as I am watching the show...pause for a call and come back, my episode is gone. I have to start all over again. Search the serial, look for episode and then fast forward to find the point where I was at. Absolutely frustrating experience every single time. Compared the continue watching capabilities of Netflix and Prime this is pathetic. Please improve this. If it wasn’t for amazing content I will not use the app. Update has broken chrome cast. Content is great. But the interface on a iphone is so terrible that sometimes I think I am just wasting my money, because 4 times out of 10 my video freezes and only sound plays. I then have to close the video go all the back to home screen and then play the video back. But it does not just simply resume! It starts from the beginning and you have to find and remember where it froze! It is just so annoying! After last update they fixed the subtitle thing. But today I found out that I can't find my last played videos on the home page. Why don't they have skip intro or next episode option like Netflix! Really you guys are doing a great job but please fix these problems for iPhone. Android version is much stable than Apple's. App is crashing after new update. Please fix. Don’t ever give hotstar your credit card details they will automatically renew subscription even if you have specifically told them this is just one time. Hotstar will automatically renew and not refund. When you call they have no information about you. Only way to cancel is cancel your credit card. Really bad app and poor content. App is really buggy and there no option to live stream any TV show. It does not allow me to access the options while video is being cast to the TV. Search is really poor and feels like decade old design; no categories search, no favorites. Will cancel my subscription soon! Very good picture quality. Perfect source for Indian sports. Very Expensive nothing to except live sports. DO NOT SUBSCRIBE TO THEM!! This is a fraud app they charged my account for another membership without my consent, and when I asked for a refund they refused to give it to me. Casting to chromecast is a nightmare, also if it connects by any chance we get 480p clarity.. Guys lots of issues on this app even though i have 300mbps internet speed, let them resolve asap.. I WILL NOT RENEW **** I signed up to watch Asia Cup via Roku saying 7 days free. I got charged right away. When I called HotStar to cancel right away, they blamed Roku saying they don’t have my account. I called Roku and Roku is like a PayPal and they are a platform for TV service. At the end of the day, I ended up paying for a month $21.74 because they wouldn’t cancel. Googled for apps streaming game of thrones, Hotstar site came up. In their website they didn’t mention a word about the content not being available in US till I subscribed for a year. The app itself has several issues like- 1. Gets stuck in the middle of a movie. Will have to exit and relaunch the movie to continue. 2. Much slower than Netflix. 3. There is no way to search with combination of filters like language, artists, genre, etc 4. Popular in lists stay the same and I have to scroll for several minutes to see something I have not seen yet. 5. Tons of tamil movies in hindi dubbed versions, but no originals 6. Tons of old flop movies 7. Search results display programs that say content is not available in my country after clicking on it 🤦‍♂️🤮 Overall, I would be really happy if I could get at least half of what I paid for a year in refund and you can cancel my subscription (used only for a month). This app is not functioning well. I have to always uninstall my app and than reinstall it whenever I try to watch something it doesn’t work well. I think I am wasting my money and I should have given it no stars not even a one star rating which I gave. My message to the developers please develop the app well so customers can enjoy it instead of becoming frustrated with it. Please put all Hindi Chanel with all tv show on it. Good: 1. All available shows are in HD. 2. Streaming on Apple TV and iOS app are very good 3. Live cricket telecast on indian matches 4. Allows 2 screens at the same time Bad: 1. Higher subscription fee for no much content. You will feel disappointed when you find there is no live tv streaming and you cant find all your favorite shows,particularly if you come from YuppTV. 2. Apple Tv app keeps asking to activate the app every day, which is really annoying. 3. Program organization is not so user friendly and frustrating. You have to go through bunch of useless programs to find one or 2 shows that you watch. It would be great if programs can be filtered using date and have a section only for latest ongoing shows. 4. Shows won’t get added immediately after telecasted in india. Programs are available only after a day (after 12 AM EST) 5. Not all shows from star are available to watch. Particularly the international format shows like big boss. This is a deal breaker. I pay monthly subscription. After logging in I am unable to see any programs. It still shows the same login page. I have purchased subscription from Apple. However app doesn’t recognize purchase. When I try to start new trial it pops out a message that you already have an active subscription. Contacted Hotstar and got a suggestion to contact Apple. Contacted Apple and got a suggestion to contact Hotstar. My credit card is charged and I find it in iTunes subscriptions. However hotstar won’t activate membership. It is a mess between iTunes and hotstar. Come on do you guys just need money. Like at least remove subscription for shows everything need money to watch just bad. Fix this please. I am loving it so far and quality is amazing. Please add old movies from 90s like chandni and other popular movies. This website and app is amazing. The clarity and sound quality of the tv shows or movies are great. Worth spending. Many programs doesn’t play.and error message comes not available in your country. Pros: - Cheep option to see Indian content Cons: - app navigation is horrible: no filter for language at account level. You have to perform multiple steps to get to your language - not a love tv - not all the program from local channels are available: example Bigboss tv show is not available on Star Maa tv - not all the movies telecasted on local channel are not available Very disappointed with the app navigation and the content in this app. Downloaded this app in October to watch cricket and some Indian shows. Initially subscribed for the monthly plan to try it out. Looked good and worked so I got the yearly subscription. Couple months later my purchased vanished and I couldn’t use the app. After jumping through hoops and waiting about 2 weeks for developers to respond I contacted Apple and sorted out with them. App developers still haven’t gotten back to me about the issue. Now the app wants me to subscribe again to Hotstar premium. Complete scam. Do not subscribe. Poor quality and waste of money. They took away malayalam channels from dish network to make me watch through internet. I don’t want to take out my network speed for that. The customer service is the worst. Never get anyone or never get a call back. We paid yearly payment and what we got is not what we expected. We thought the episodes would be current but they are not. We can only see the episodes from day before for most of the shows. We expected this to be not live but at least current. Even after waiting for 3 months into my annual membership, I have not received my Roku player. This is absolutely unprofessional way of doing business. Some my show do not have subtitles. It should have stayed on the television. Using the app on the phone is very depressing. Where is customer support? They kept the line on always busy mode. It looks like scam to loot people. No Subtitles on Star Bharat, etc. So disappointed program from Star Bharat and some other channels do not have subtitles at all. Otherwise Hotstar is amazing. I will only continue with Hotstar if those channels mention above have subtitles. This is very bad to ask premium membership for watching stupid MAA TV Telugu serials. Why I can’t watch with membership? This is very BAD.. I can’t watch any serials form USA. I’m very disappointed that hotstar is not letting anyone watch anything there and whenever I try to watch it says not available in your country. I can’t believe people form USA watch the most and now we can’t watch it because it says not available. My only hope is to watch serials in hotstar with no problems.